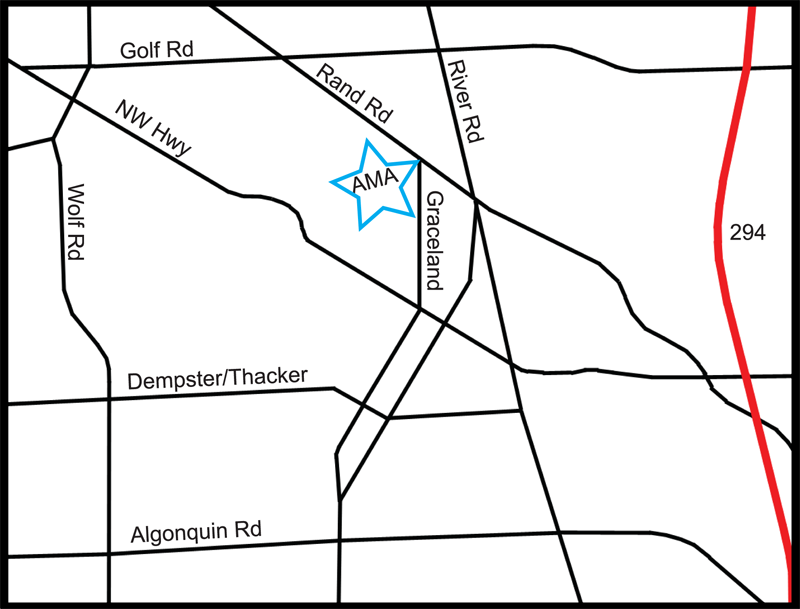 AMA Dance and Music School is located on the southwest corner of Graceland Avenue and Rand Road in Des Plaines, Illlinois. We are just two blocks west of River Road and 5 minutes from the 294 Illinois Tollway. Get directions from Google Maps.